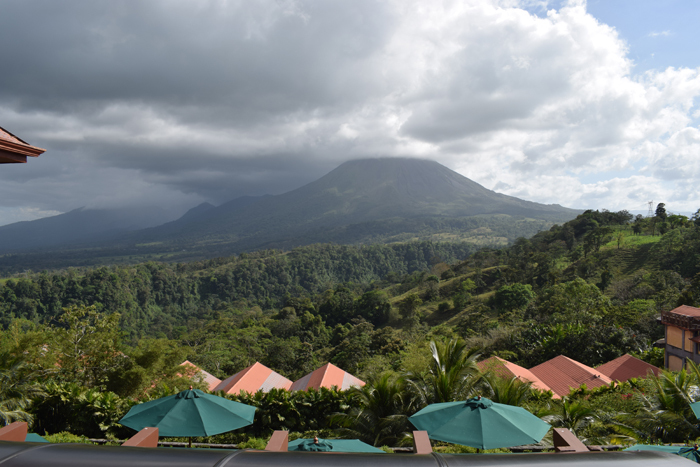 LA FORTUNA, Alajuela — At an estimated 7,000 years old, Arenal is a volcano in diapers, dating from around the time agriculture developed in ancient Egypt. By contrast, its little dormant neighbor, Cerro Chato, is first believed to have first erupted up to 50,000 years ago. Yet volcanoes are judged by what they have done lately, and in 1968 Arenal blew its top so badly that nearly 100 people were killed and two villages were destroyed. 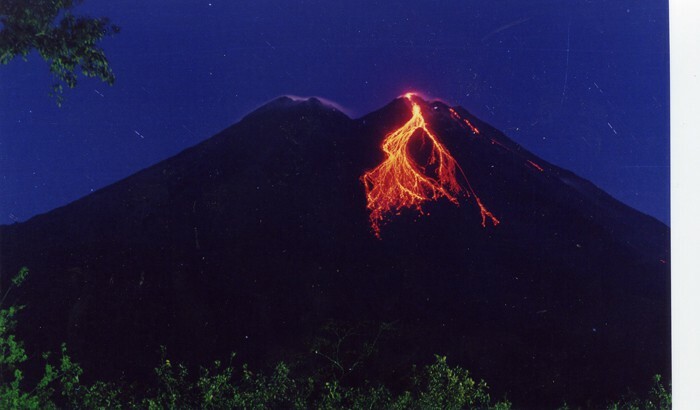 And for an astonishing 42 years afterward, Arenal remained in a state of nearly constant activity, with lava bombs occasionally flying out of its crater and glowing avalanches pouring down its sides. Courtesy of Olger (“Koky”) Aragón V.
Arenal (1,670 m, or 5,479 ft.) put this region on the map as one of Costa Rica’s top tourism attractions, with visitors flocking here for the chance to see a live volcano spewing lava. It gave the region its name; tourism infrastructure developed here second to none in the country, and in many ways the world. Even after it stopped erupting in 2010, the nearly perfect cone of Arenal remains an awe-inspiring sight visible from all over the region. 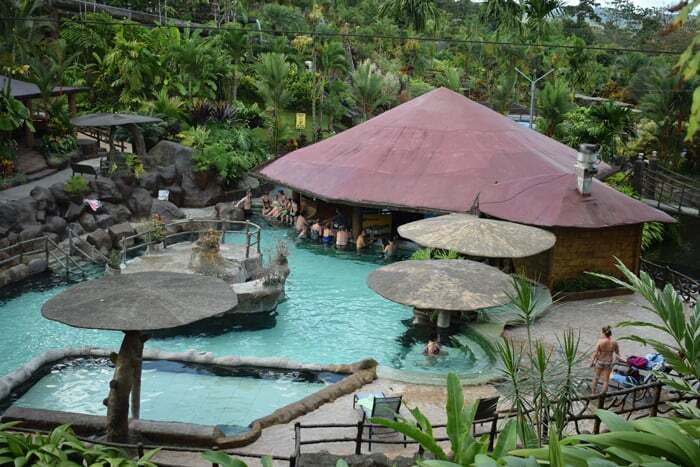 Aside from the spectacle it created in its most active years, the volcano is responsible for creating one of the area’s greatest attractions: its hot springs. 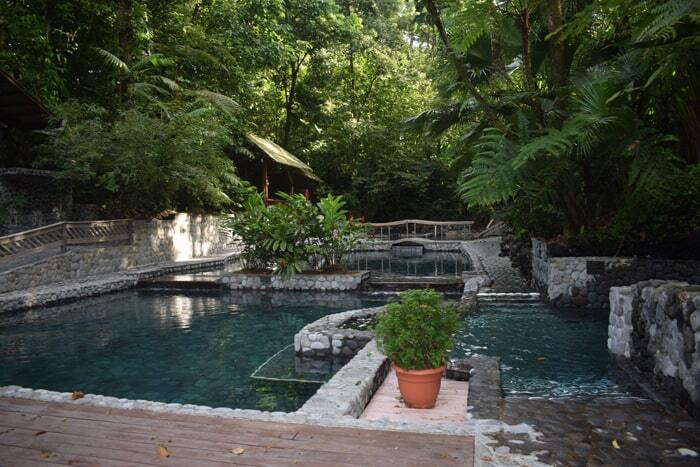 Arenal has an immense volcanic aquifer — 800 meters wide and up to 1 kilometer deep, according to Jorge David Monge, manager of Paradise Hot Springs. Some people here claim it’s the world’s largest thermal aquifer, but vulcanologist Gerardo Soto scoffed at those claims, saying aquifers at Yellowstone, in Japan and elsewhere are much larger. Still, the subterranean reservoir here is huge, and the hot water surfaces naturally or is pumped from wells. It’s enjoyed by droves of tourists every day all over this area. 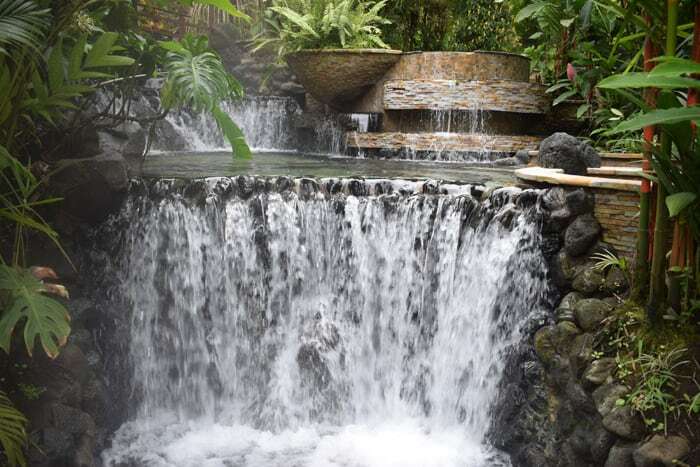 Gravity is responsible for the downhill flow of all that hot water, and is the reason all the hot springs are scattered around Arenal’s base. But human ingenuity plays a major role as well, given all the wells, pumps and pipes that allow multiple resorts to share the wealth. As for the volcano, it’s very much active, Soto said, though it hasn’t erupted since 2010. Jorge Barquero, who has studied volcanoes in Costa Rica for 40 years and is the author of the book “Volcán Arenal,” said Arenal was inactive for 400 years before 1968. 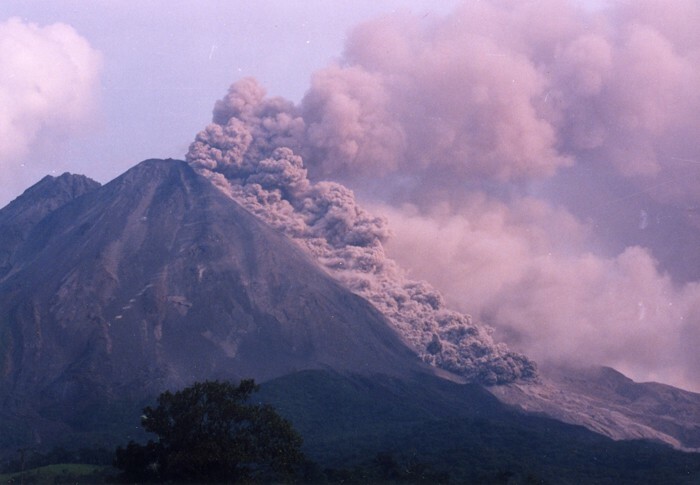 Barquero said Arenal is believed to have erupted massively in 1520, 18 years after Columbus landed in Costa Rica. You can still see blocks of lava east of the Tabacón resort that remain from the lava flows of 1520, he said. 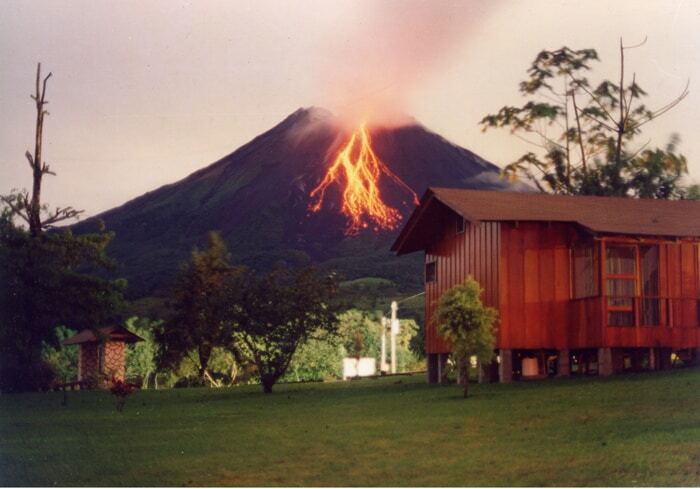 But for centuries afterward, many people didn’t even know Arenal was a volcano. It was called simply “Cerro Arenal,” Arenal Hill. 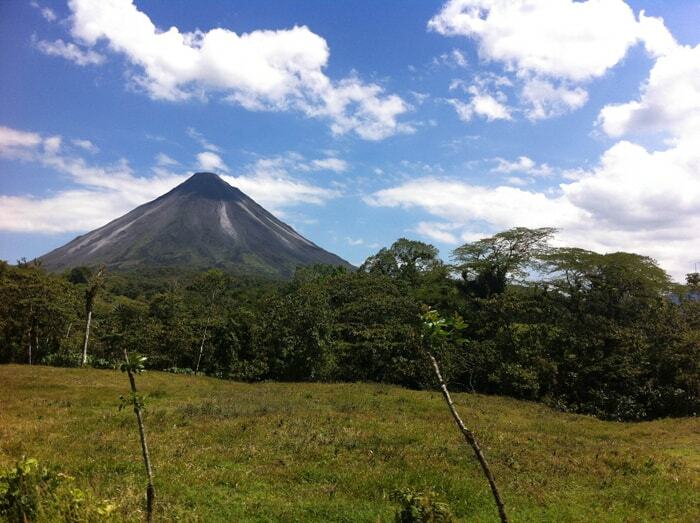 Arenal means “place of sand,” from the sandy appearance of the lava flows on its hillsides. 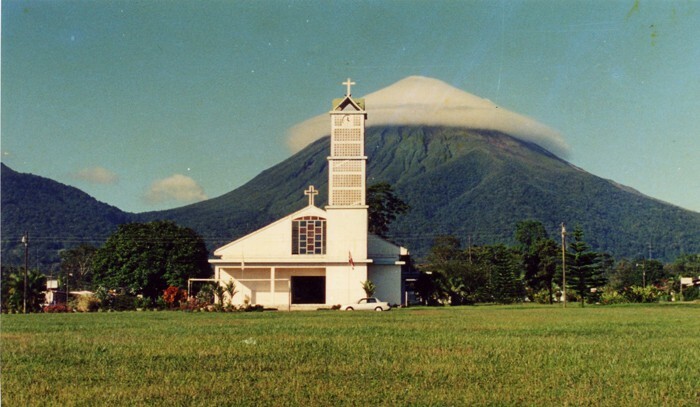 At 7:30 a.m. on July 29, 1968, after people in the area had felt earthquakes all night long, Arenal massively exploded. 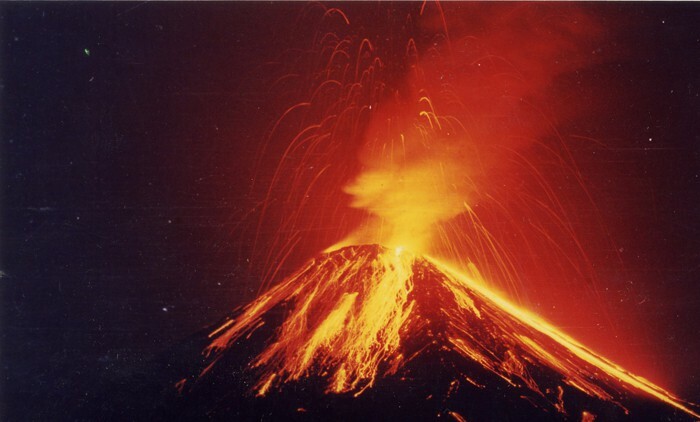 A pyroclastic flow that Barquero described as a nube ardiente, a burning cloud, traveling at 120 kph (75 mph), destroyed the villages of Pueblo Nuevo and Tabacón in minutes and killed 88 people. “Volcanoes that erupt like this are the most dangerous, because human beings can’t escape that,” he said. Lava flows bursting out of the crater at 1,000° Celsius destroyed 12 square kilometers to the west of the volcano, according to Barquero’s book. Burning blocks flew 5 km through the air, creating craters 20 m wide and 2 m deep. Vegetation became charcoal, and ash drifted as far away as Liberia. Two days later a new pyroclastic flow killed eight people in two vehicles — volunteers who had rushed to the area to help survivors. The eruption of 1968 created three new craters at the summit, dubbed Craters A, B and C, from the lowest to the highest, respectively. On Sept. 19 a huge river of lava was seen flowing from Crater A, a flow that continued until 1973. The fireworks continued for decades. In 1993, the northern walls of Crater C collapsed, producing four glowing avalanches. In 2000, two people were killed by a pyroclastic flow while climbing the volcano to see the lava. 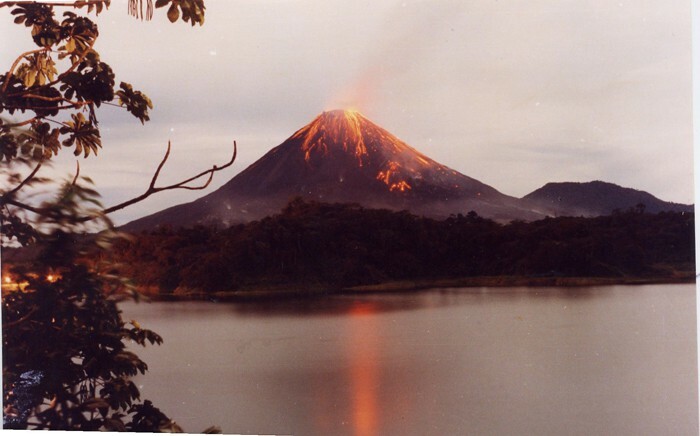 In 2010, Arenal finally fell quiet, though it continues to vent hot vapor at the summit continuously to this day. The peak is frequently clouded over, though on a clear day you can see it venting a “cloud” that comes not from the sky but from the mountain. Barquero said this is nothing but steam, rainwater vaporized by heat, and does not contain toxic gases. 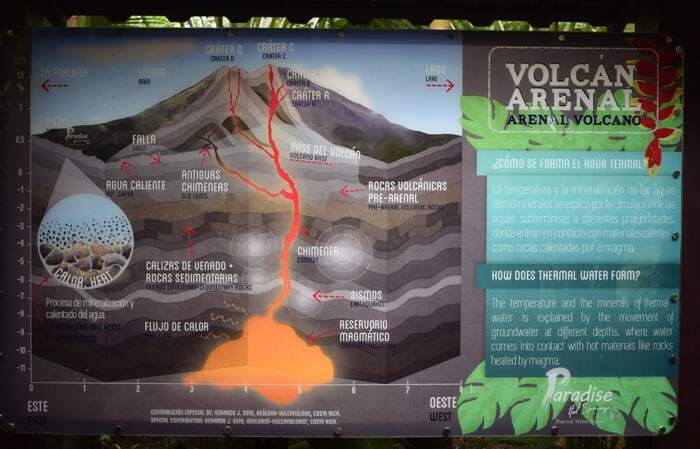 Yet the volcano is considered too dangerous to climb, and the Costa Rican Environment Ministry (MINAE) recently issued a stern warning that climbing Arenal is illegal. 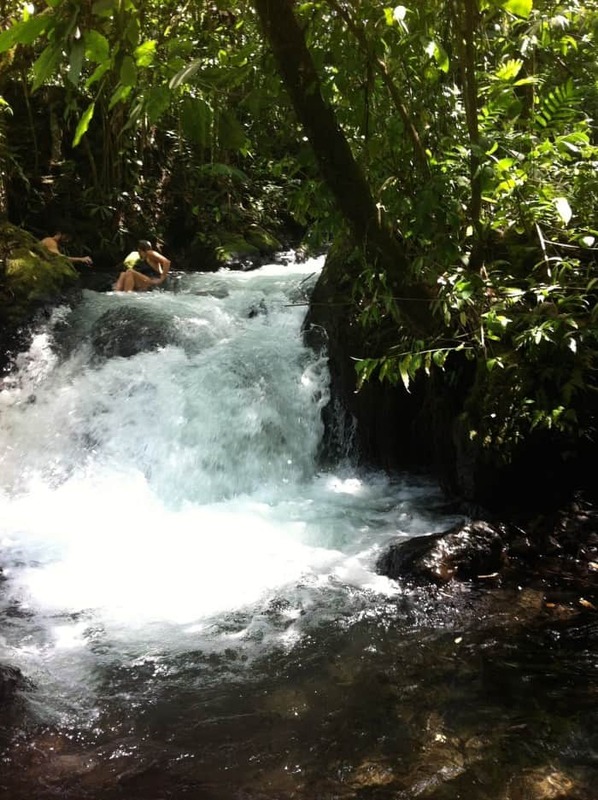 Guides who lead these hikes are threatened with fines, while tourists are threatened only with expulsion from the national park of which Arenal is the center. Yet I met three people who had done it recently, and they said it was the adventure of their lives. One person said it’s not the volcano that’s dangerous, it’s the trail, where you could fall and break a leg. 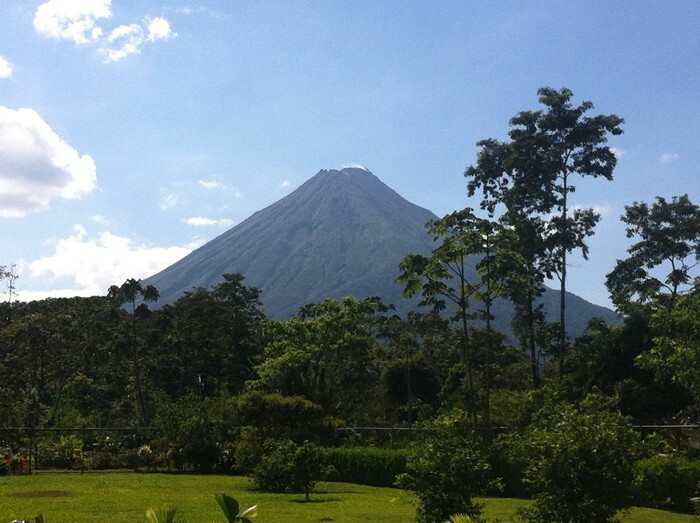 Another person said it’s far more dangerous to drive from San José to La Fortuna than to climb Arenal. 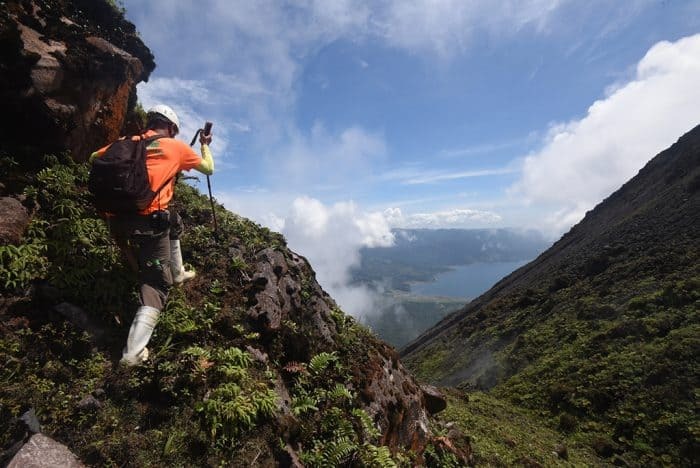 The government also recently issued a directive that climbing the dormant Cerro Chato (1,140m, or 3,740 ft.) is now illegal, though it’s been done for years. I climbed Chato two years ago, and it was an awesome hike, if grueling. 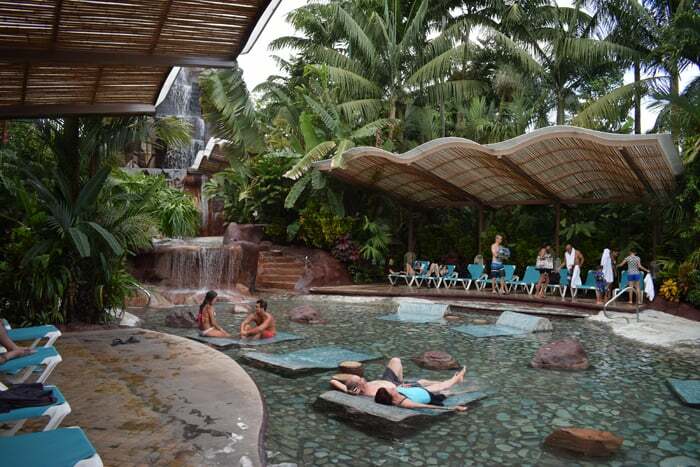 On the other end of the Extreme-O-Meter are the many hot springs at the base of Arenal, where you can spend beaucoups bucks — or nothing at all — to laze around in hot water or watch Fox Sports at a swim-up bar with a mojito in hand. 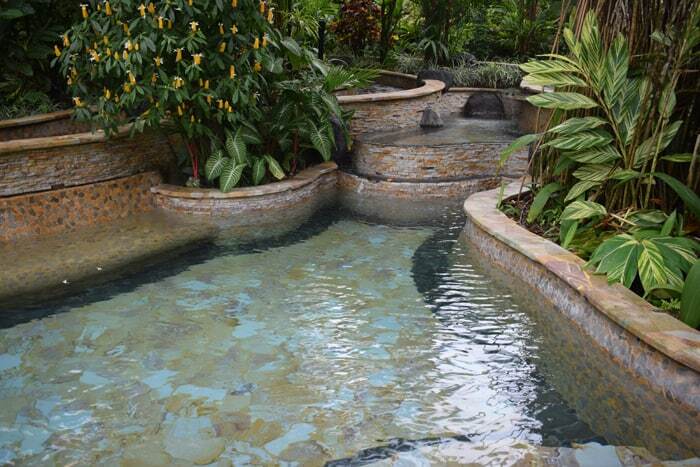 These springs range from the luxury of the rich resorts at The Springs and Tabacón to the humbler waters at Ecotermales Fortuna and Termalitas Arenal, and there’s one big, hot, fast river that’s totally free. We got wet at most of these locations, and we liked them all for different reasons. 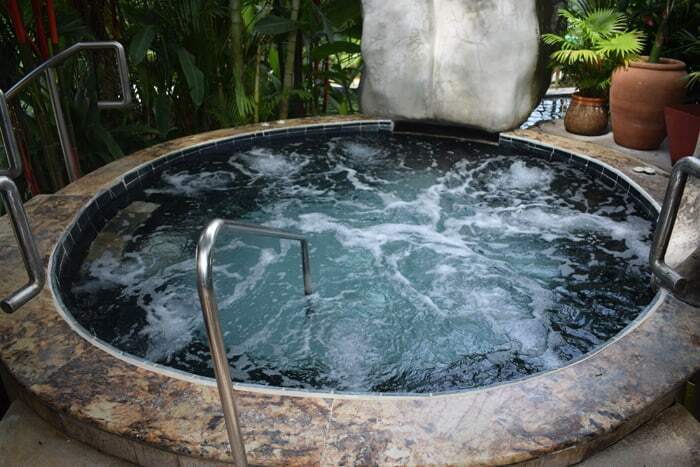 Monge stressed the therapeutic benefits of these mineral-rich waters, which contain magnesium, sodium, calcium, potassium, carbonates and sulfates. These have analgesic, detoxifying and sedative qualities, he said, and can alleviate rheumatism, arthritis, cramping, eczema and dermatitis. 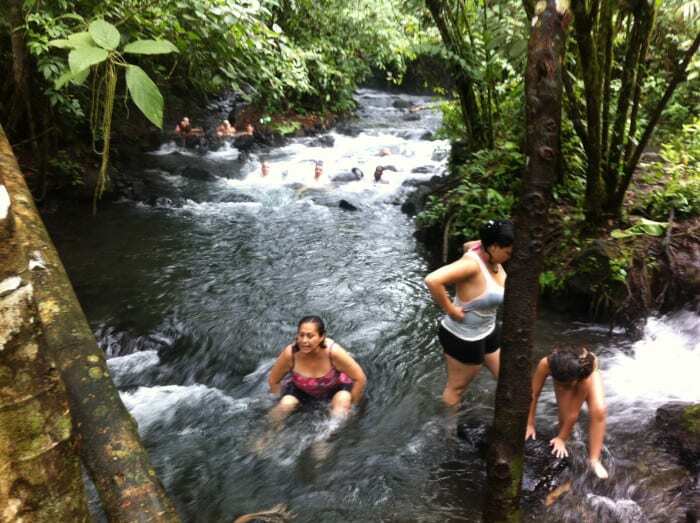 Here are some of the top hot springs we found in Arenal, in alphabetical order. Rates: Foreigners $35, $57 with lunch or dinner, $79 with lunch and dinner; prices slightly lower for nationals, and in all cases children pay half price. 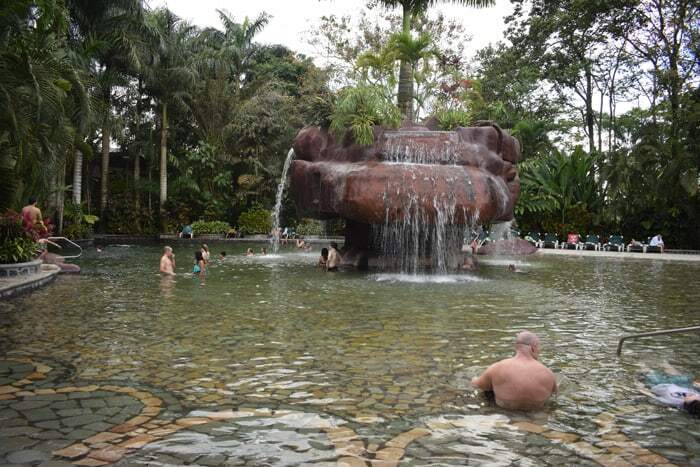 This very natural, relaxing spot has six hot springs, two cold pools, some small waterfalls, two restaurants and two bars. 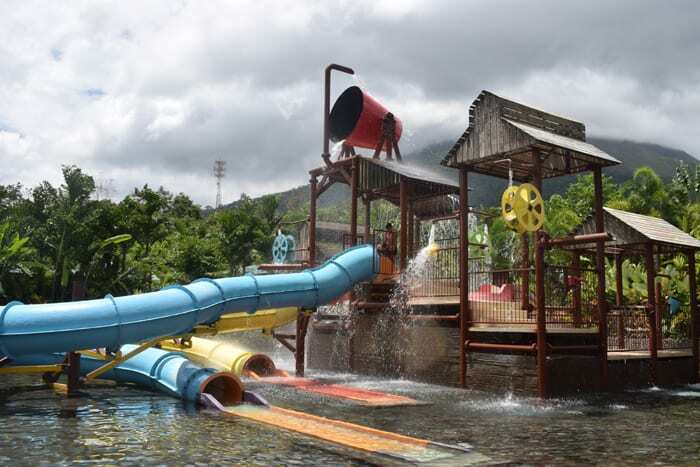 This fun water park, in places resembling something out of a Dr. Seuss book, has two hot-water family pools, an interactive area for kids, seven waterslides (including one descended in rafts), a restaurant and snack bar and two swim-up bars. This large, attractive resort has nine hot springs, three cold pools and four waterslides, and in this neighborhood it’s a great value. Rates: Day pass for adults, $15, kids $7.50; with lunch or dinner $28 adults, $18 kids; same price for foreigners and nationals. It also has an animal garden with turtles, crocodiles, frogs, butterflies and ants. This complex has nine hot springs, two cold pools, a restaurant, snack bar, a couple of soccer fields, a basketball court and a beach volleyball pit. Guests are invited to bring their own food and have a picnic under one of the 129 ranchitos. 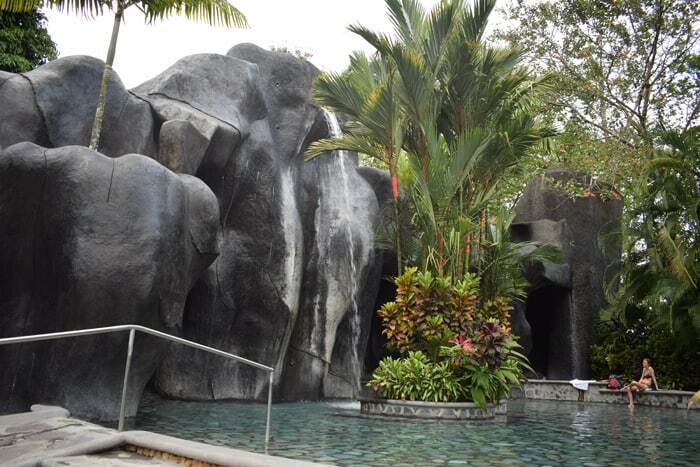 This very chill hot spot, which emphasizes wellness and relaxation, has six hot springs and two cold pools, a wet bar and a restaurant that serves lunch and dinner. Often called Río Tabacón but also known as Río Chollín, this is a big, hot, fast river that is totally free. But be forewarned that there have been recent thefts and robberies here, so proceed with caution, preferably in a group. 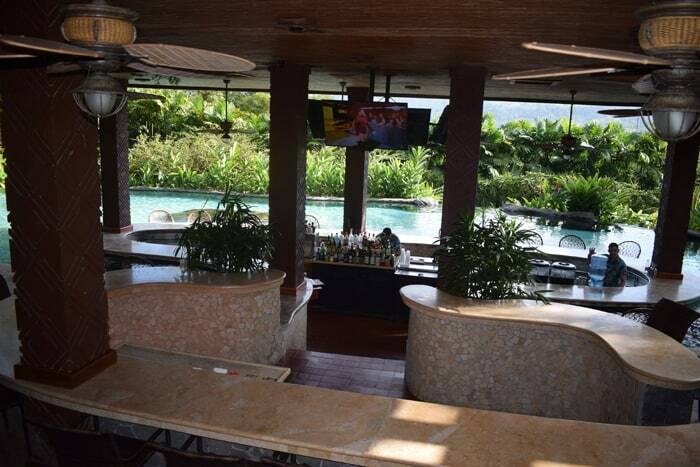 From La Fortuna, drive to the second entrance to the Tabacón resort, park and walk downhill through the yellow gate. Please tip the parking attendants who direct traffic and watch cars, but avoid bringing valuables. 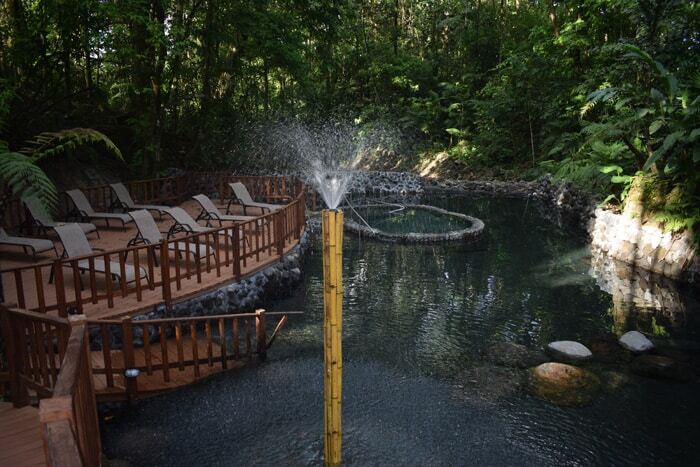 This luxury resort has five main springs that surface naturally on the property, with more than 20 natural pools and five manmade pools, only two of which are cold. Rates: Day pass with lunch or dinner, $85 adult, $30 kids; other options include four-hour pass with lunch or dinner, $70 adult, $25 kids; prices higher in peak season. 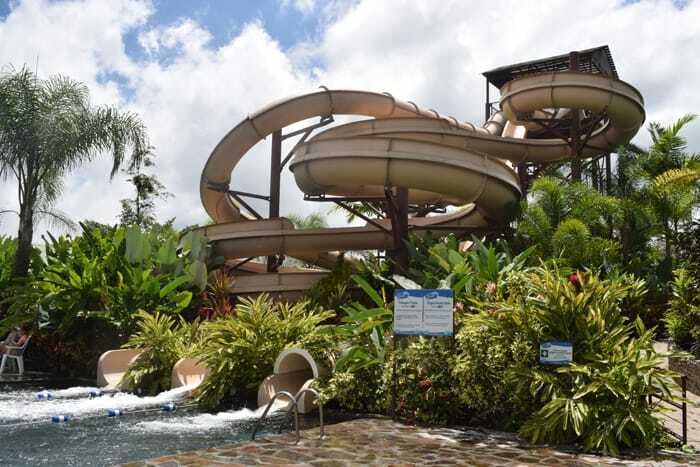 Termalitas has nine hot springs and one cold pool, 12 water massage chairs, two waterslides and various ranchitos with tables and barbecue grills; you can bring your own food and drink, and there’s a soda, a bar and an ice cream shop. 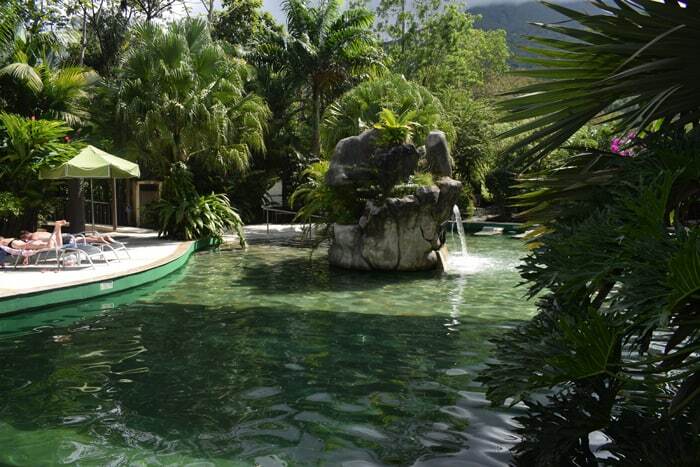 This elegant resort has 28 hot springs, with five restaurants and bars open to the public, as well as an animal sanctuary, and it offers river tubing, kayaking, a climbing and rappelling wall, horseback riding, mountain biking and hiking trails. 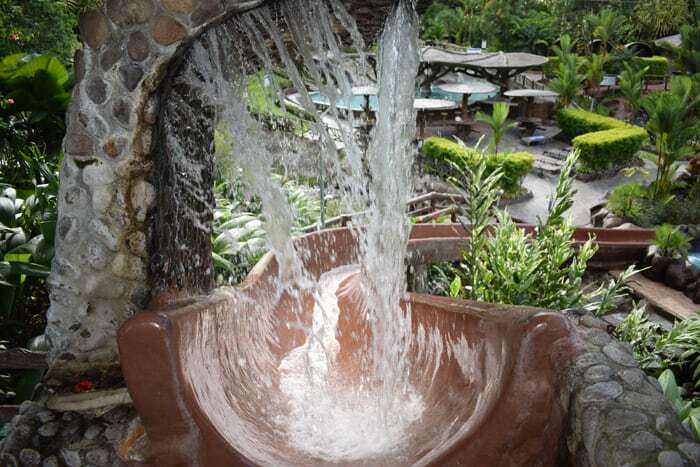 Part of Arenal Kioro Hotel & Resort but on a different property next to Baldi Hot Springs, this attraction has eight pools cascading from spring to spring.